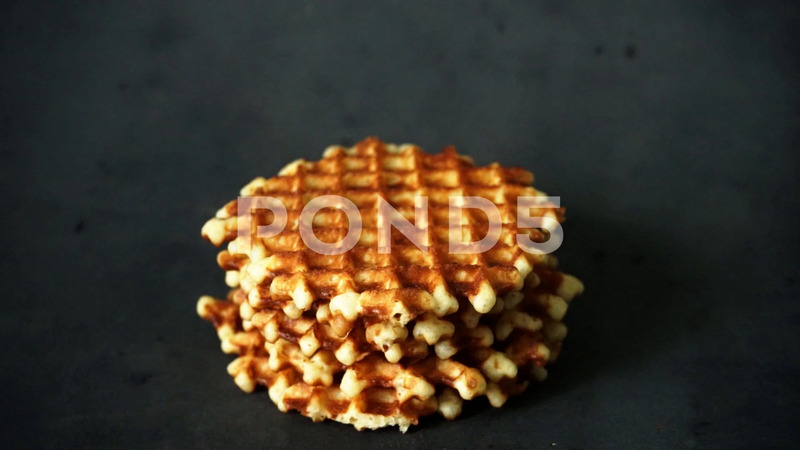 Description: Belgian waffles. waffles on black background. sweet products. patterned wafer. confectionery on a black background.